When I was growing up, my grandmother went to church every week. It was a part of our family’s culture and a value I still follow today. But in today’s day and age with sports activities and working on weekends, some cultures are making attending church just once a month the new norm. It is easy to miss church if you feel you don’t fit or feel like no one would miss you if you were gone. The number one reason why I love my church is for the community I receive. There is a reason why Scripture refers to members of churches and “brothers and sisters.” Church is not just a place to go to on Sundays, but rather a gathering of people who have committed to walking their spiritual journeys interdependently rather than independently. Some of the people I call my dearest friends are those I have met within the church and have had the pleasure of serving alongside. God has gifted each one of us not only with natural talents, like singing or playing an instrument, but also with spiritual gifts, that when used, build up the church body in unique ways. If you don’t know what your gifts are, I encourage you to take a spiritual gifts inventory or read biblical passages such as 1 Corinthians 12-14, Romans 12, Ephesians 4, and 1 Peter 4. If you still don’t know what they are, find someone who can affirm the gifts they see in you. Sometimes others can see what we have trouble seeing in ourselves. Once you have confirmed those gifts, talk to a pastor or ministry head and see where you might best be suited to use those gifts. Maybe it is an existing ministry, or maybe your church is missing an important ministry that you can create yourself! The possibilities are endless. Jeremiah 29:11 says, “For I know the plans I have for you,” declares the Lord, “plans to prosper you and not to harm you, plans to give you hope and a future.” God has a plan for all of us. He knows the hairs on our heads and has ordered every one of our steps. But finding out what that purpose and plan is easier said than done. As members of your church get to know you, they can speak words of encouragement and affirmation into your life. They can help navigate through the muddy waters we call life. Seeking wise counsel is one of the many benefits of being a part of a church, and something that is difficult to find outside family members and close friends. I have met many people not only during my time in ministry but also my time being a Christian. Some people are exactly like me while others are the complete opposite. I get the chance to meet and connect with people I wouldn’t have met otherwise if it were not for being a regular church attender. Being in relationship with people who are the opposite of me can be frustrating at times but it helps me work on making me a better person because of those relationships. In either scenario, I connect with people in a unique way and discover things about myself I would have never had the opportunity to do otherwise. Worship can happen any time of the day and any day of the week. I can worship in the car, in my room or when I’m feeling down. But there is nothing like getting together in a room full of other worshippers and singing my heart out to God with others who share that same desire. My life is enriched when I worship with others and I can’t do that sitting at home by myself. I admit, I don’t read my Bible as often as I should, and I don’t take the time to study the Word through concordances and other Bible study tools on a regular basis. But when I go to church on Sunday, I get the opportunity to hear the Word preached in ways that help me understand it better and in unique ways I may not have seen myself if I was studying it on my own. My church has a high emphasis on missions. Our church is in the process of organizing a Missions trip so that members of the congregation can share the love of Jesus with those who have never heard His name before. When I regularly attend church, I get to share the good news with people to whom the name of Jesus is foreign. I also experience cultures and see the world I would not have seen if not for low cost opportunities like those presented by a church. Often, churches offer scholarships and ways to work off costs and fees so everyone can experience what it is like to be a part of a Missions trip. When I give of my money, I often think of how far reaching my money goes. I imagine getting to heaven and meeting people I never met on earth whose life was touched because I gave to a missions fund or general fund. What if a person walked into our newly renovated church building heard about Jesus and dedicated his life to Him who couldn’t attend previously because the sanctuary was too small. Where else can I allow my dollars to create such an impact on others’ lives? Scripture references church members as the body of Christ. Once you make friends at church, you are forever bonded to them through your desire to follow Jesus. Even if you don’t attend that church anymore, there is a special connection you share because of the Savior. Who can’t use another friend or two in their lives? 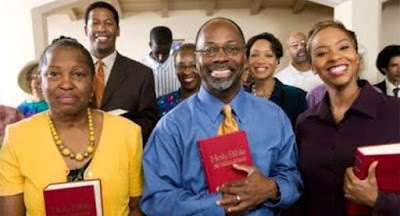 Get in the habit of going to church regularly. It has a lot of positive benefits.